The new solar power companies were supposed to create 4,000 jobs in a closed auto assembly plant and provide a vivid example of Michigan’s economic transition from automobiles to green energy. In return the state approved a $100 million tax credit. Two years later, Ford told the Wixom city officials the deal wasn’t happening. Michigan Capitol Confidential took a look back at the nine solar power companies that were approved for state tax credits. Many have fizzled with reports that the companies are laying off employees at a time they were supposed to have been adding jobs. For example, in 2009 a company from Georgia called Suniva announced it planned to open a $250 million manufacturing plant in Saginaw County. It was to add 500 jobs. Media reports said the company is holding off plans for a Michigan plant after deciding not to pursue a Department of Energy loan. Energy Conversion Devices and United Solar Ovonics are affiliated companies that have been approved for state tax credits for four different projects that were supposed to add about 5,700 jobs. Both companies announced layoffs this year. Evergreen Solar opened a solar plant in Midland in 2009. The company announced in August it was filing for bankruptcy. 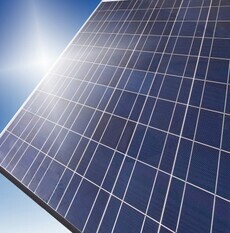 According to the Bureau of Labor Statistics, Michigan produced as many as 1,160 solar energy-related jobs in 2010. The state has 3.8 million jobs. “Despite over a decade of subsidizing solar projects, the state has little to show for it,” said James Hohman, assistant director of fiscal policy at the Mackinac Center for Public Policy.